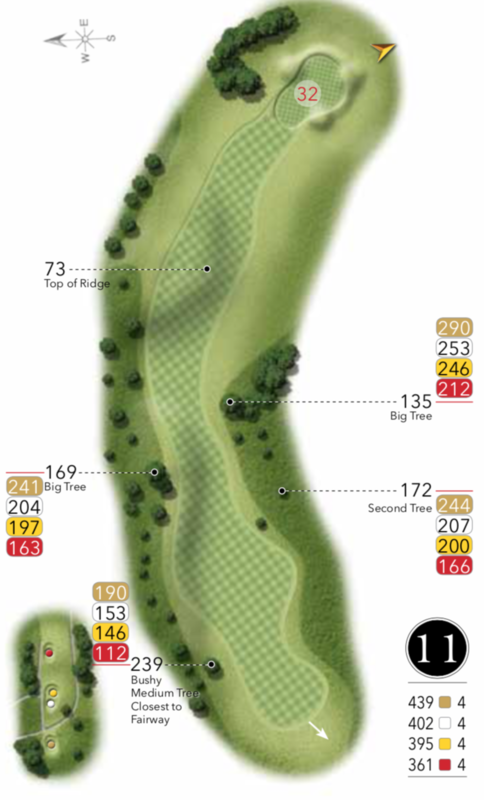 A fantastic par 4. The fairway slopes dramatically left to right so allow room for the ball to fall away otherwise you will be blocked out for your second. 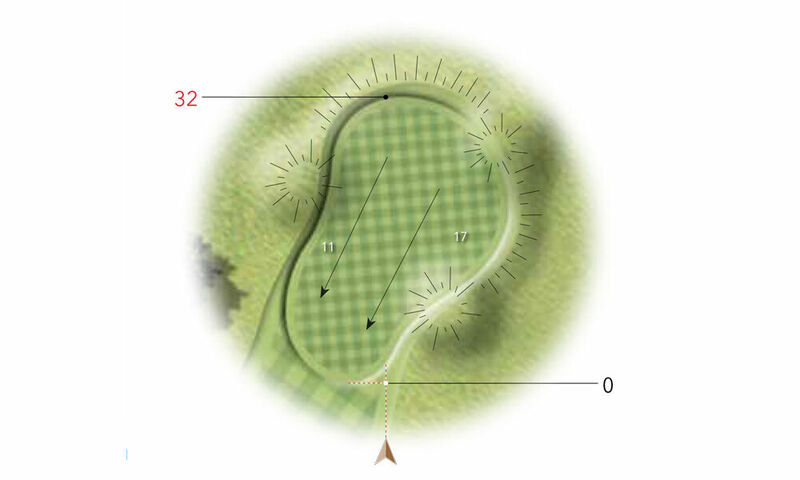 The green slopes back to front so keep your approach below the hole.